It’s always frustrating to deal with people who fight against any sort of organizational change. It’s even worse when those people are managers or company leaders, and it’s obvious that some sort of change is in the business’s best interest. 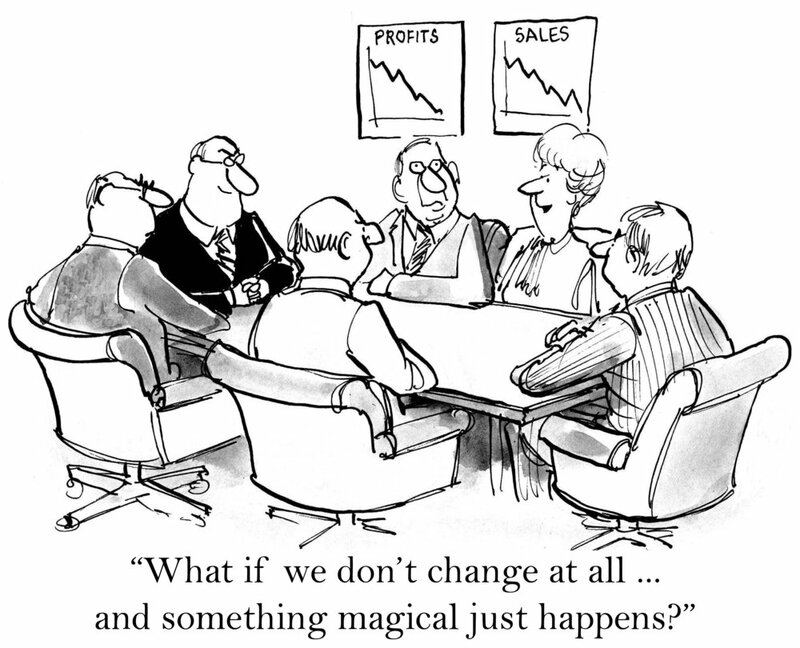 There are a wide variety of reasons why people, even company leaders, are afraid of change. After all, it’s easy to get comfortable with a routine, especially one that you’ve already found to work pretty well. But at the same time, as a leader in your company you constantly have to be thinking in the long-term. And in the long run, resistance to change can kill your company. Self-preoccupation: All too frequently we see staff specialists who bring to their work certain blind spots that get them into trouble when they initiate change with operating people. One such blind spot is “self-preoccupation.” The staff specialists get so engrossed in the technology of the change they are interested in promoting that they become wholly oblivious to different kinds of things that may be bothering people. • Discouraging creativity. If you never change anything about the way your company operates, you’re basically not offering any space for creative or critical thought. The most successful companies regularly reinvent aspects of themselves to stay ahead of the curve. By avoiding change, you discourage creativity. Ultimately, the most creative employees will leave for greener pastures, and the most creative applicants will avoid your company. • Burning out employees. Among other things, employees are motivated by the prospect of tackling a new challenge or tackling an existing challenge in a new way. If you never change anything about your company, your employees are left to do the same tasks over and over again. This is a killer to motivation and, in turn, productivity. • Falling behind the competition. Again, flexibility and adaptability are two key traits of businesses that stay successful for long periods of time. If you resist change as an organization, it’s virtually a guarantee that you are eventually going to fall behind your competition, because other companies certainly aren’t going to be afraid to try new things to get ahead. • Poor internal communication. A resistance to change as a manger will create a disconnect with your employees, who are likely to have some great ideas but feel as though it’s not worth bringing them to you because you will be dismissive of them. As soon as such a disconnect arises in your internal communication, it is very bad news for the health of your company. The point isn’t to change for the sake of change, but it’s worth reviewing all of your company’s practices every now and then to see where you could do better and what you could change to improve. It’s all part of keeping your business healthy and your employees happy.